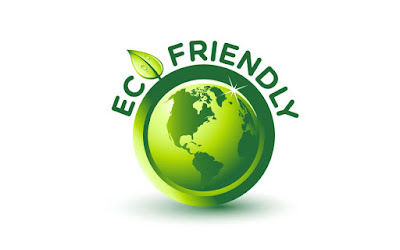 People are becoming more eco-aware these days as the threat of global warming and climate change continues to threaten the planet with its effects seen in recent bad weather in the UK and around the globe brings the reality home to people. And other aspects to the environment trouble people too. Ever burgeoning land-fills and restrictions on what we throw away are forcing people to think more closely about recycling. Yet, there are some other advantages too going eco that many people realise when they embark down a greener path. As many eco-products are about saving energy, this has an effect of not only reducing the amount of electricity we consume but can lead to lower utility bills too. With products like energy saving light bulbs, radiator panels and electricity monitors, able to reduce our energy consumption dramatically it also has the effect of driving down our quarterly bills too. And products like solar powered chargers, used to recharge many of the popular gadgets that we all use these days, such as laptops, mobile phones and MP3 players, have other benefits. Solar chargers can recharge these items on the move, away from a plug socket, something standard chargers can't do. And many eco clothes such as bamboo clothing can be even more comfortable and warmer than conventional clothing. While implementing solar powered garden lighting and security lights mean that you can install lighting, cheaply, without the need of an electrician or having to mess with electrics. Eco friendly products are therefore, not just about saving the planet but can save you time and money too whilst still ensuring you are doing your bit to reduce the threat of global warming, reduce landfills and help to make the planet a nicer place to live for the next generation. Richard N Williams is interested in green innovations and writes about them. Please visit our website if you are interested in solar powered chargers or other eco-friendly products.